Compatible with WooCommerce 3.2.x, Visual Composer 5.1.x. Tanj Construction has been tested with browsers IE10, IE11, Firefox, Safari, Opera, Chrome. 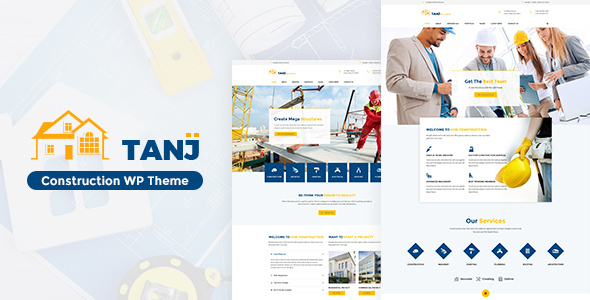 Theme Tanj Construction - Architecture, Construction Theme has the following features: Building Construction, Architecture WordPress, Builder, Constriction Company, Plumbing Theme, Interior Designs, Project Plan, Maintenance.